On April 25, 2017, Crown & Champa Resorts launched a new blog that features all the latest news in the industry. The blog covers Trade Shows, Resort news, achievements and accomplishments by the group, as well as the individual Resorts & Hotel. 5-Star Hurawalhi Island Resort opened its doors on December 1, 2016 with an underwater restaurant as the must-experience highlight. 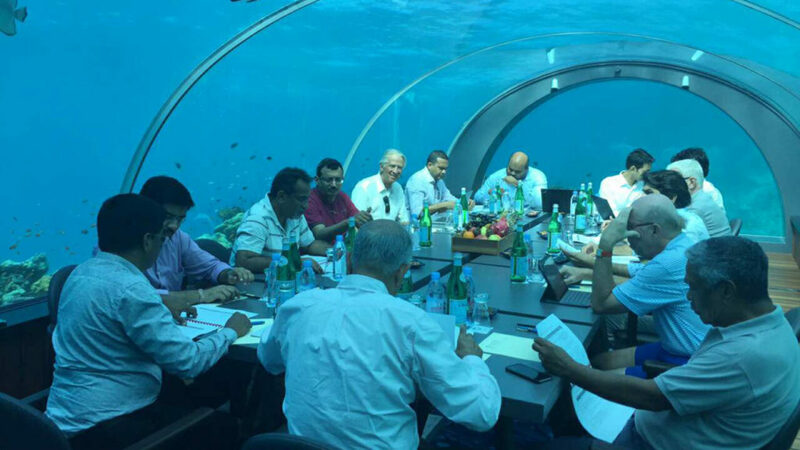 On Friday, January 20, 2017, Trans Maldivian Airways (TMA) held it’s first-ever underwater board meeting at the 5.8 Undersea Restaurant: the world’s largest, all-glass, undersea Restaurant. The Board meeting was held with 12 participating members. Integrated water supply system and sewerage disposal systems in K. Dhiffushi. A groundbreaking ceremony was held on Monday, February 20, 2017 at K. Dhiffushi to implement the design and build of an integrated water supply system and sewerage disposal systems in K. Dhiffushi. The project, as a donation from The Ali Fulhu Thuthu Foundation and Meeru Island Resort & Spa and Altec Maldives (Pvt) Ltd, will provide for a complete fresh water treatment and supply system, as well as environmentally friendly sewerage disposal systems for the entire Dhiffushi Island. Of the 10,000 companies listed, Crown & Champa Resorts was among the 100 companies to receive the sought-after GOLD 100 Award in an exclusive, invite-only, gala at Kurumba Resort on February 21, 2017. 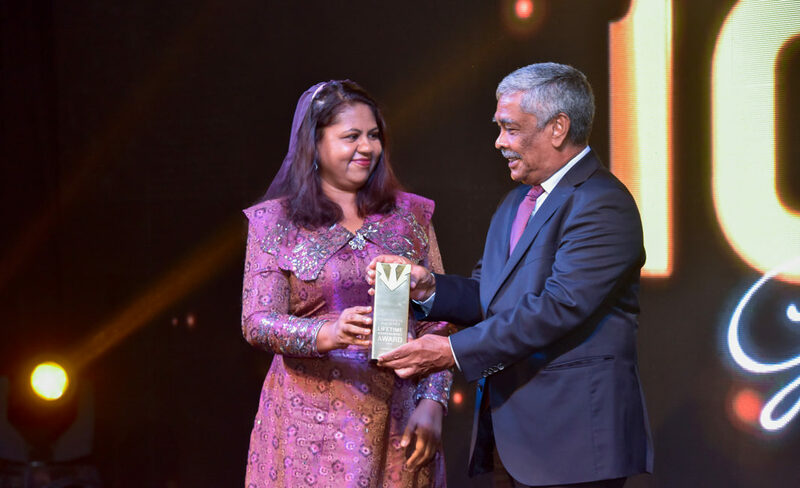 Additionally, Maldives Tourism avant-garde, entrepreneur and one of the Directors of CCR, Mr. Hussain Afeef was awarded a Corporate Maldives Lifetime Achievement Award for pioneering the development of the tourism and hospitality industry in the Maldives. On Monday, February 27, 2017, a distinguished ceremony was held at Meeru Island Resort & Spa to unveil The Bank of Maldives (BML)’s first-ever Dynamic Currency Conversion (DCC) in the Maldives. DCC facilitates transactions between travelers and expatriates from all over the world, and Resorts in the Maldives. Visitors can now transact and view their transactions in their own currency, reducing the need to use USD. 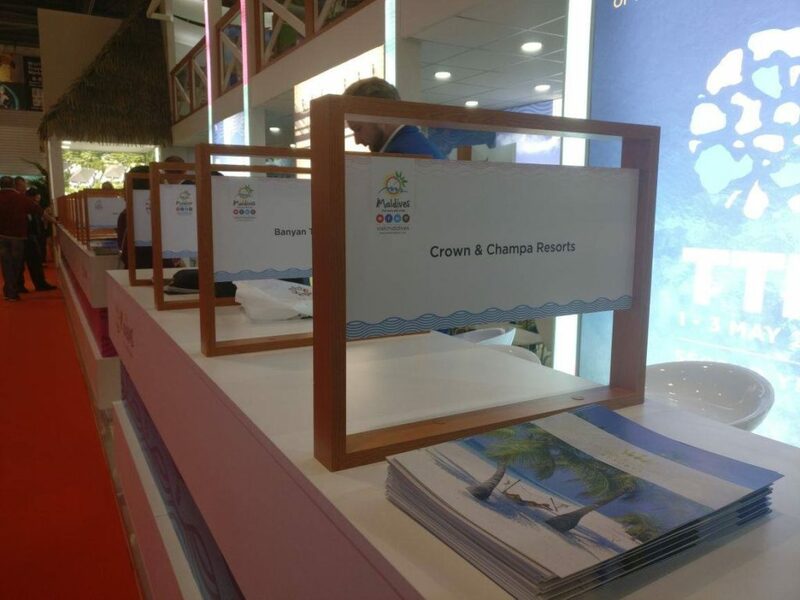 Crown & Champa Resorts has participated in over 15 Travel Fairs and Trade Shows worldwide in 2017, including ITB Germany & ITB Asia; WTM London and WTM Connect Asia; Hotelier Maldives GM Forum; Travel Trade Maldives; and Riyadh Travel Fair. Each succeeded at expanding the Maldives Travel & Hospitality industry in the various markets, together with Maldives Association of Travel Agents & Tour Operators (MATATO); and Maldives Marketing & Public Relations Corporations (MMPRC). 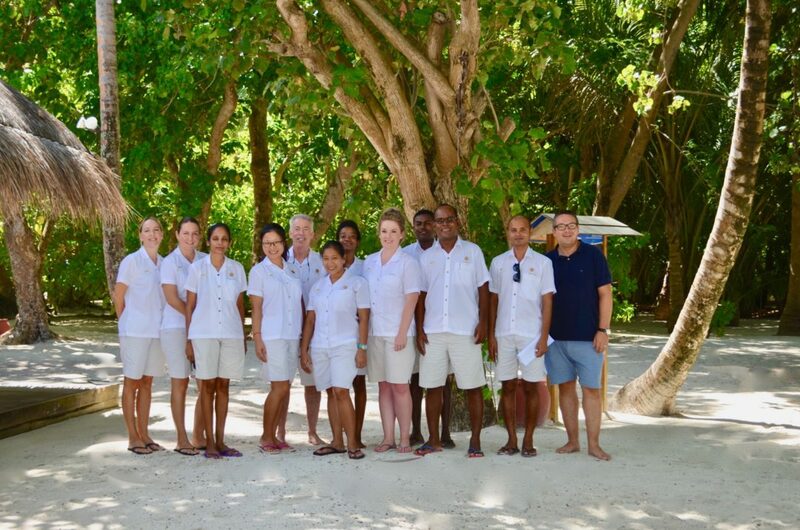 With over 3,000 employees, Crown & Champa Resorts has created an environment that only encourages teams to work, stay and be happy in the Maldives. These include personal and social benefits; education & training; CSR and empowering the local community; and continuous growth and expansion. Warm and attentive service is a staple of the Crown & Champa Resorts and the Academy of Learning, as a Training and Development Department initiative, encourages individuals to be the best they can be. The Academy provides access to coaching, mentoring, training and sponsorship programs that are inline with Crown & Champa Resorts’ goals and individual aspirations. Tour Operators and Travel Organizations alike; have continuously recognized Crown & Champa Resorts’ awareness and commitment towards preserving the Maldives environment. From the subtle shifts to greener and sustainable operations, to consistently ensuring efficiency in energy and water consumption, Crown & Champa Resorts has maintained the reputation as a leading Eco-Friendly Hospitality Group in the Maldives. The Maldives Travel Awards Gala 2017 was held on November 23, where MATATO specially dedicated the award for Outstanding Commitment to Sustainability Award. Along with the Sustainability awards and each individual Resort’s awards, Crown & Champa has also been named the Leading Local Hotel / Resort Brand at the Maldives Travel Awards of 2017, making it the most awarded Hospitality Group in the Maldives. Stay tuned for more updates into the New Year!